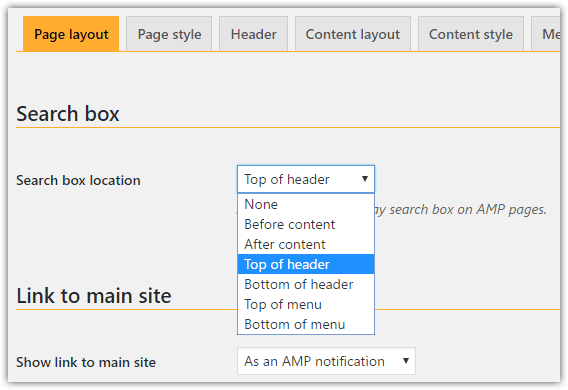 A search box is an integral part of any website, including an AMP one. The weeblrAMP version uses the WordPress native search. 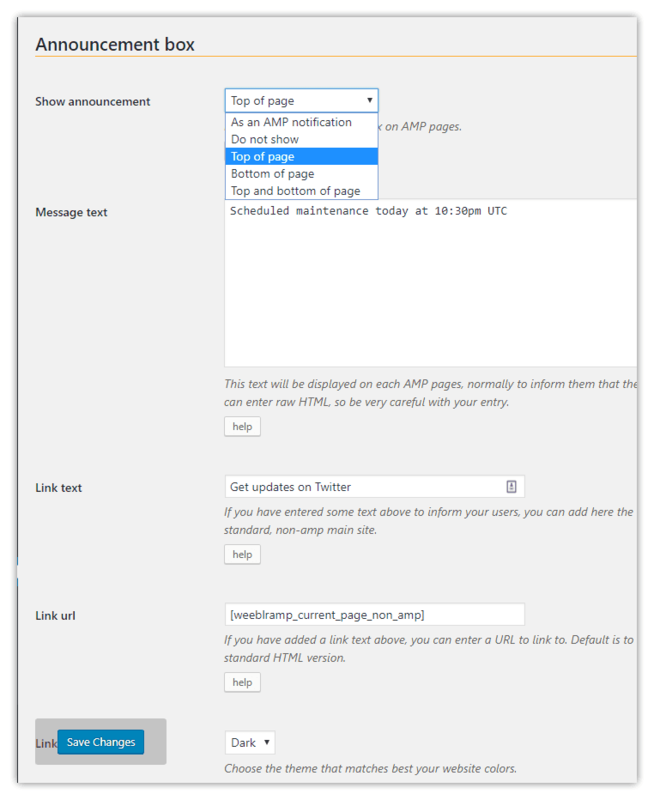 Search results are AMPlified (in accordance with the content selection rules that you set earlier). Search is only supported in the regular edition of weeblrAMP. 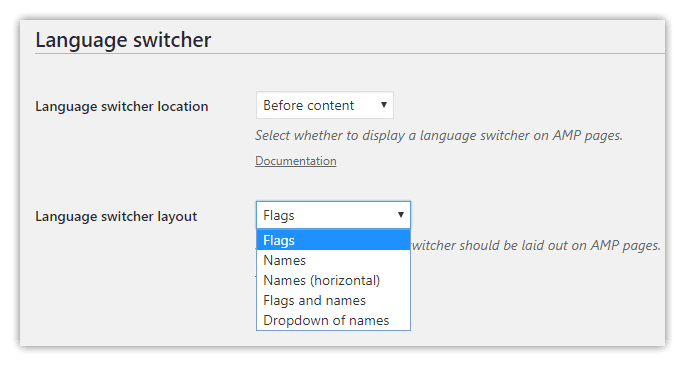 When using a compatible multilingual plugin, the plugin language switcher cannot usually be used (because they usually are forms, which requires special processing with AMP). 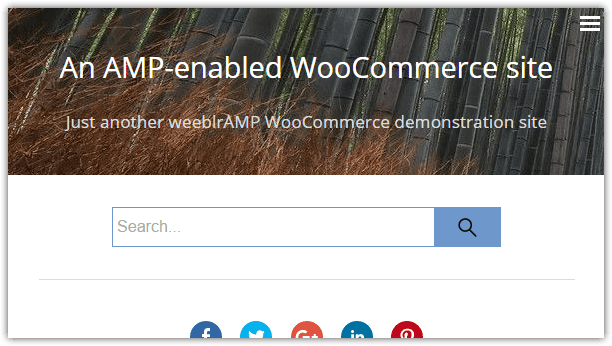 And so weeblrAMP provides an AMP-compatible language switcher, which will be automatically displayed when needed on AMP pages. 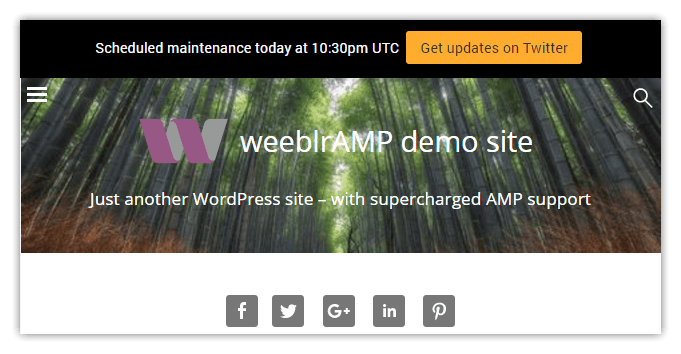 If you include a button link, the default URL is the standard HTML version of the current AMP page using the [weeblramp_current_page_non_amp] shortcode (see screenshot). 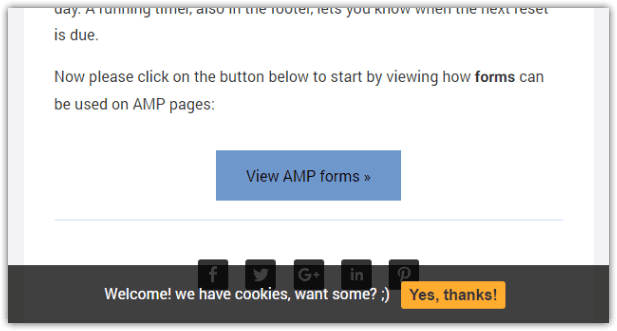 An AMP-specific footer can be displayed and customized from the control panel. Tip: use the shortcode [weeblramp_current_year], it will be replaced by the current year. Useful for copyright mention! The message text and button text can be changed from the control panel, the button being actually mandatory. You also can select from a Dark or Light theme, based on your site colors. This tab lets you change colors and dimensions of the page globally. Many more options are provided for various other, more specific parts.